No matter where I go, I can never be alone. Even in my room, there are faces nodding at me, winking at me, smiling, staring with no expression. I can’t ever escape from eyes on me. I can’t face myself without someone watching. One day, I can’t take it anymore. “I’ve had enough of you!” I scream as I rip them from the walls. Pages flutter all around and land with images face down. I can finally hear myself loud and clear. And I realize that the pictures and the people around me have been meant to protect me all along. From what? Myself or something other? Thought provoking. Good beginning for a story. Reminiscent of The Yellow Wallpaper. Very nice. Yes, that is true. I also find it similar to “Advocates” by Kafka. The first paragraph reads like a problem of a schizophrenic or medium. When I finished reading it, I felt the story could turn in many ways. I literally paused to note this paragraph is a good description to hand to a class and ask them to finish the story – because the writer offers intriguing details, but not enough detail so that the reader must insert their own assumptions to the identity of the main character’s voice. The second paragraph, I had to adjust the assumptions I made to follow THIS story. Here I learn the main character is either an artist, photographer or image collector. My curiosity for this choice kept me reading, but I felt left outside the story because my assumptions for the main character’s identity did not mirror the writer’s. Still, the writing was good and my curiosity piqued. I really wanted to know WHY the writer made THIS choice. When I finished the story, I felt satisfied that a realization ensued. But part of me longs for answers to questions I think could have been provided: What media were the pictures? Who drew or photographed them? Did the main character get the pictures as gifts or did they make/gather them? Is the main character a danger to themselves? I see that some are questioning the story. I guess that was the purpose of the author? If so: Well done. I wanna point out: Micros are _allowed_ to leave parts of a story between the lines(reader has to guess) or a bit open(reader has to complete the story with his or her imagination) . In fact, many will argue that this is what a micro is supposed to do, along with being a hybrid of prose/poetry/narrative. Not all micros do this, but they are _allowed_ to. With this being said, Id like to offer my view of the story, as I “decode it” . The story is a metaphor, in many ways, for discovery of ones own self. In life humans are surrounded in some way or the other by other people. In this “noise” it may be hard for some to see ones true self, as it was for the protagonist of the micro “stranger” . Eventually, she/him becomes a stranger to him/herself or maybe the protagonist was all along. Finally, when the protagonist is free from society, unstability is presented and scares her/him. I really like your interpretation of this story. 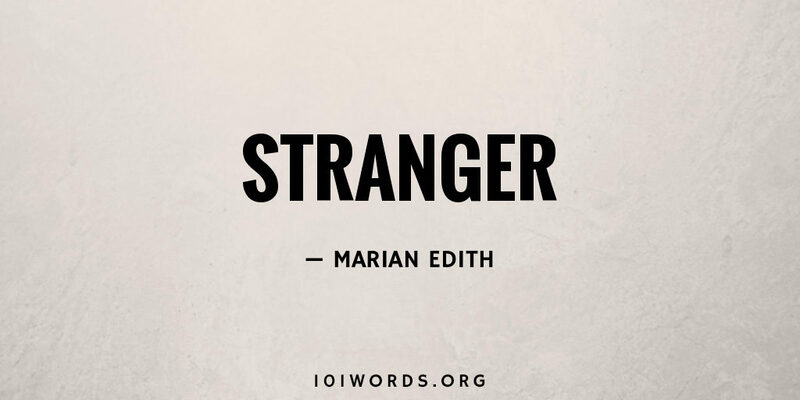 I agree with you when you say that the narrator was a stranger to him/herself before and is now seeing who they really are. thank you. i enjoy both the writing and reading.